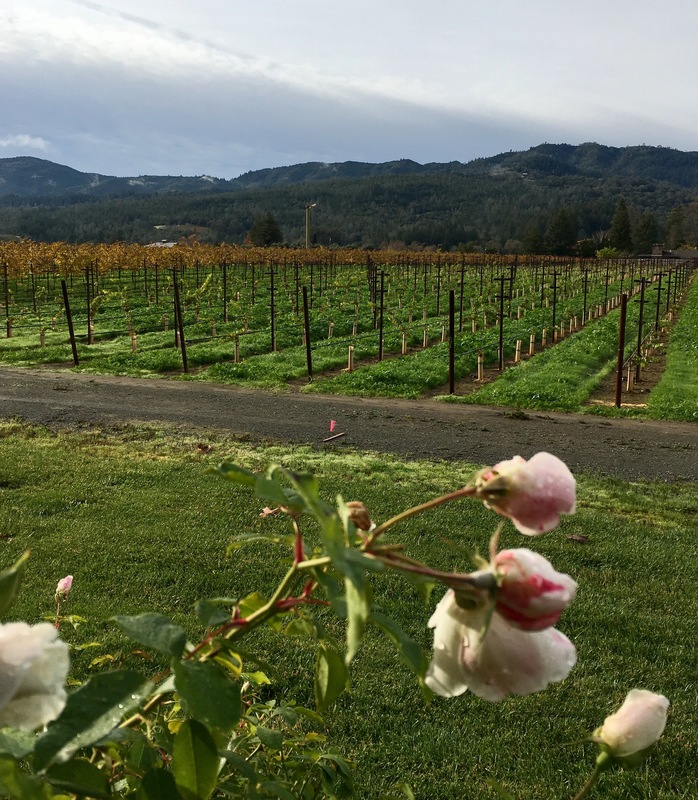 Napa: Day 3 – Eat, Drink, and Go! What a gorgeous, albeit grey, view from my porch this morning! The valley adapts to whatever the weather throughs down, and still makes it beautiful. We began the day with another bountiful country breakfast at the Harvest Inn. 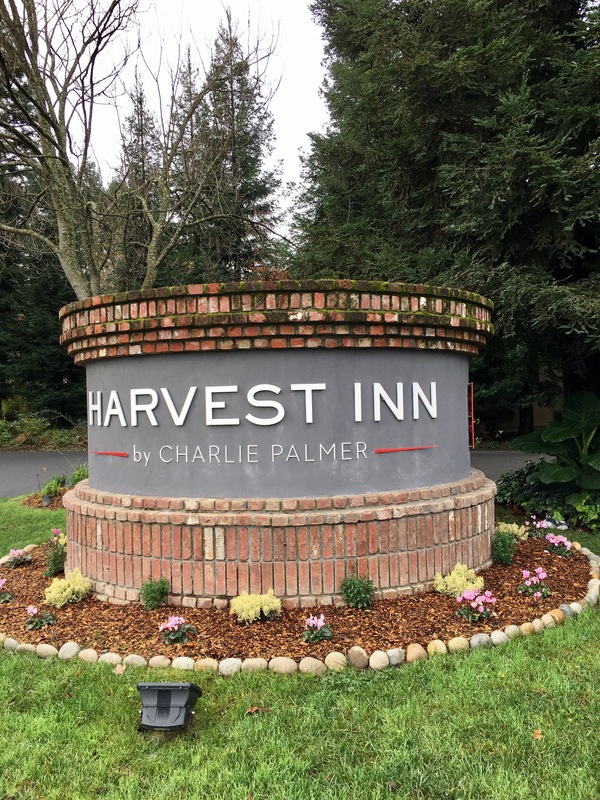 Nestled into its acres of vineyards and its quaint array of cozy cottages, the inn is just off the main drag that cuts the Valley with endless winery offerings. 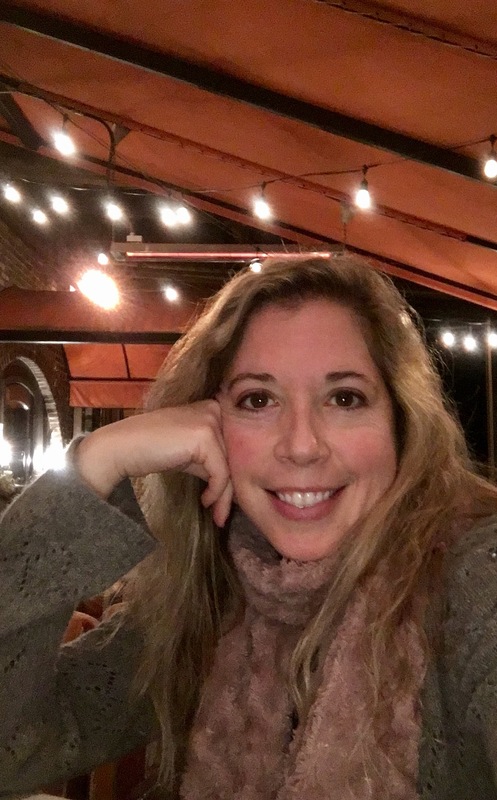 Walkable to several excellent wineries in St. Helena, the location is perfect. 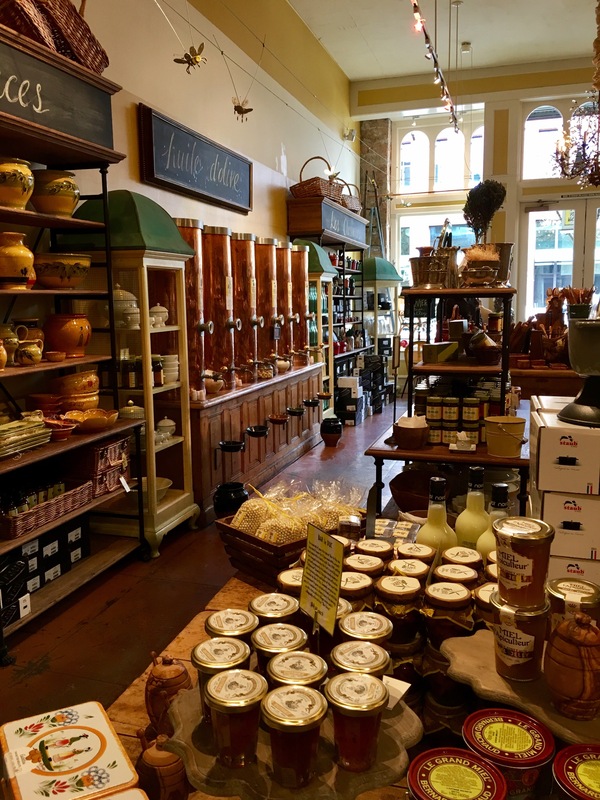 We began Day 3 with some light shopping in downtown St. Helena, where one of my favorite shops is Olivier with all of its oils, vinegars, tapenades, sauces and delights! And of course, you can taste everything, so that’s awesome! 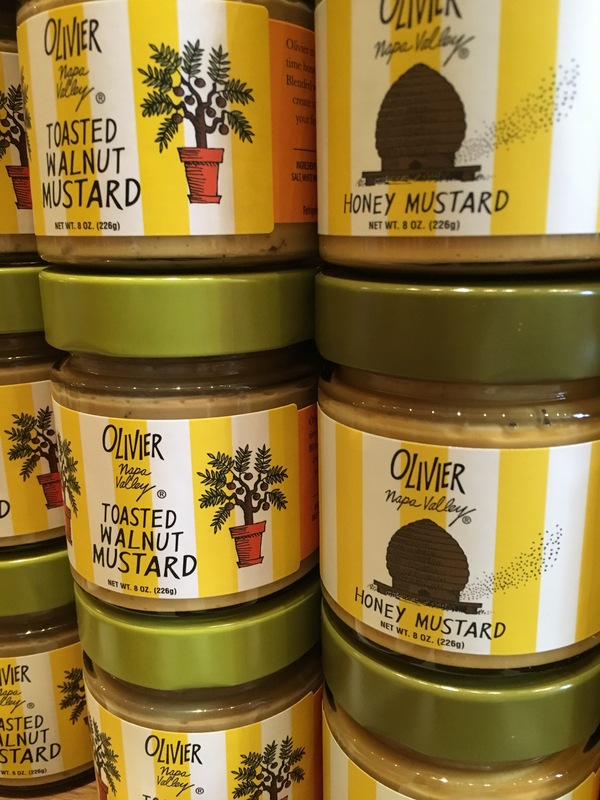 Several of Olivier’s product can be found at Home Goods, but nowhere near what they offer in the store. I had to go light since this is pretty heavy stuff to pack. I decided on the Truffle Mustard which was soooo deliciously savory and tangy I just can’t wait to cook with it. 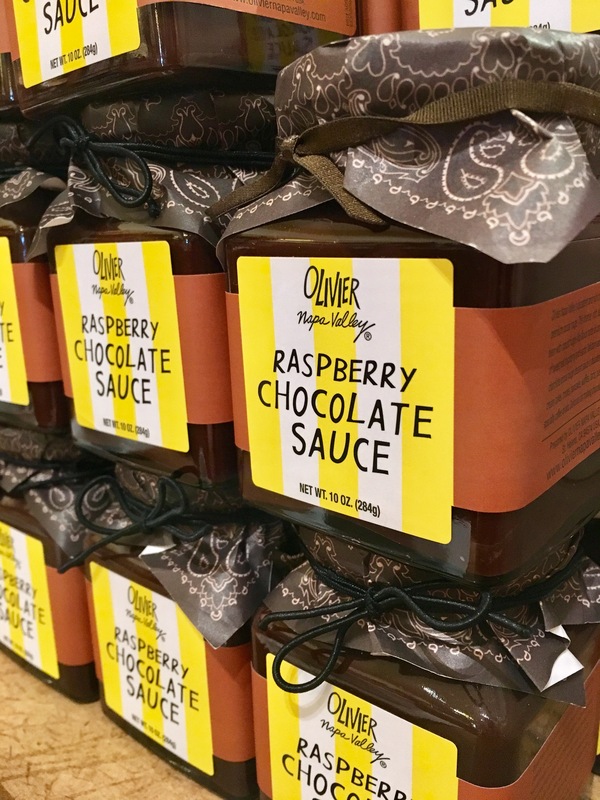 And the raspberry chocolate sauce, of which just the tiniest spoonful satisfies that sweet spot, was a must. 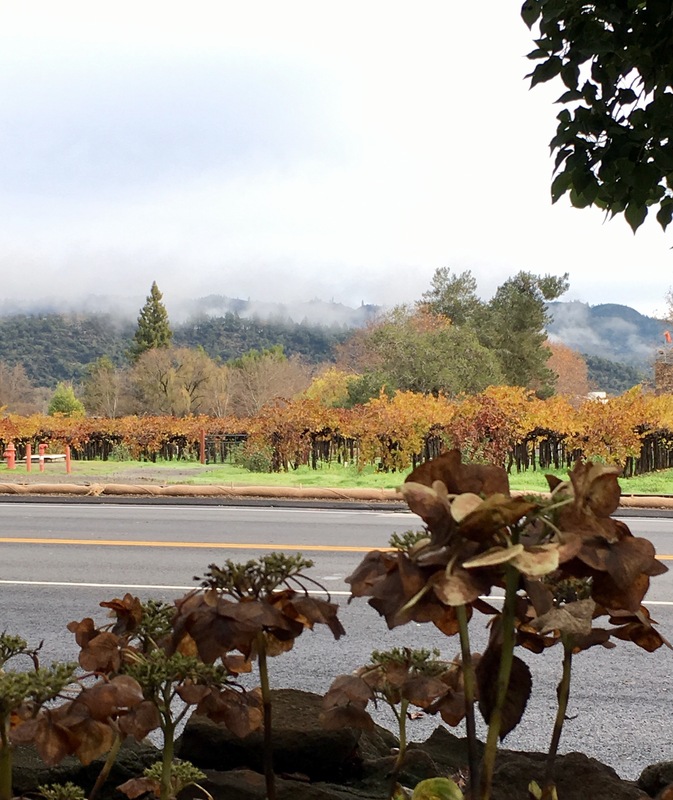 We stopped at V. Sattui winery for their great cafe and to-go market, and also did a tasting. Their 2012 Cabs were very good, but I was starting to max out on wine! I know, I shouldn’t admit that, but I feel like it’s ok to tell you. I trust you. Please forgive me. We cheesed and pated and fruited a little, relaxing a bit in the room before heading down a few miles to the adorable Yountville. There are some great shops in the V Marketplace with lovely knick knacky things expected of wine country. Unfortunately one of my favorite shops down there, NapaStyle had closed. But my main reason for coming here was for dinner at Bottega, Michael Chiarello’s restaurant here. It definitely lived up to my memories! We found a table by the fire in their outdoor patio and sat there cozy with drinks. As it turns out, it is ok to admit to the bartenders that you are wined-out and need to cleanse your palette with a beer or champagne or cocktail. 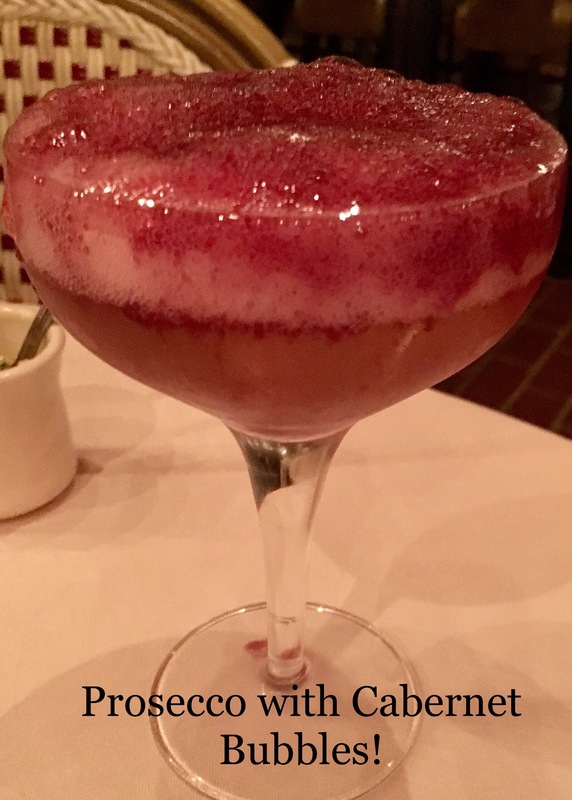 My companions ordered a beautiful Bellini drink – prosecco topped with Cabernet Sauvignon bubbles!! How cool and delicious!! We ordered just a couple apps and an entree to keep it light so we could ravage the rest of the cheese in the room later. The calamari, the burrata, the brussel sprouts de jour and – what I came for – the fabulous ricotta gnocchi we what we decided on. Everything was delicious and the service was fantastic. 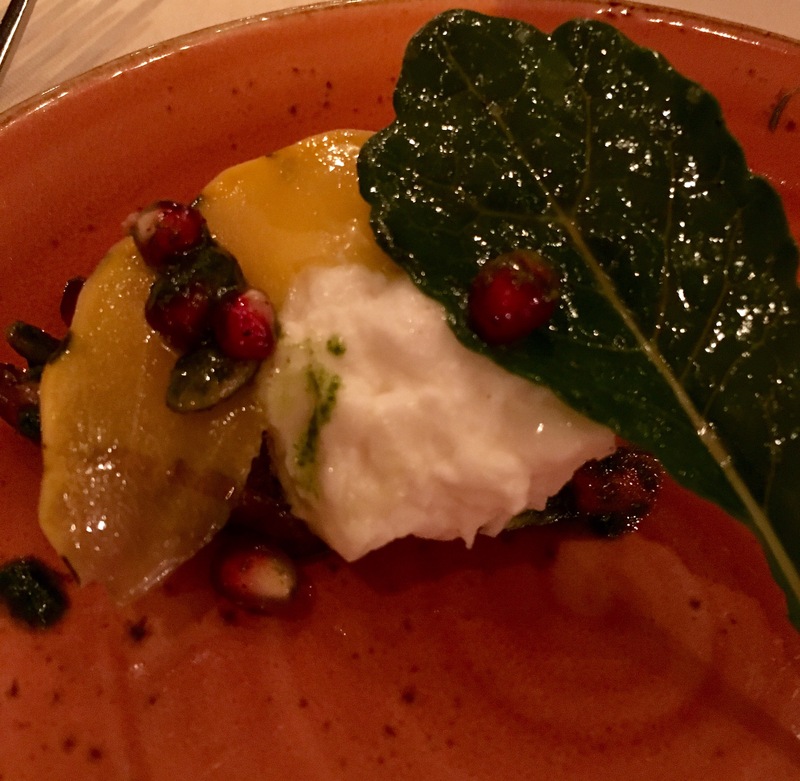 The burrata (super soft mozzarella stuffed with ricotta) rested on a kale pesto and was dotted with pomegranate and pumpkin seeds, topped with shaved squash and baby kale. Yummm!! 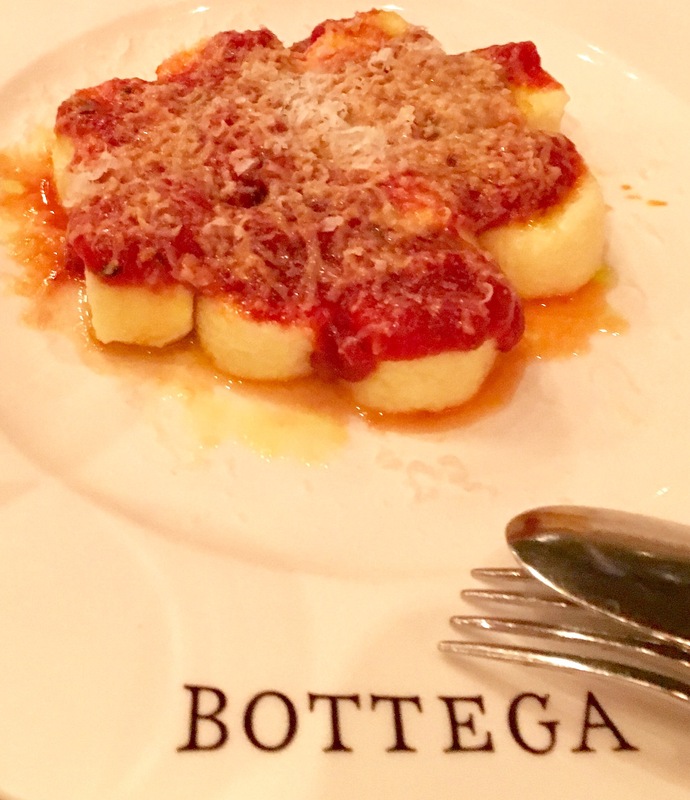 But my favorite memory of this place that I had to get again was their gnocchi – “pillows” of ricotta with a light but so savory tomato sauce and Parmesan on top. Mmmmmm! I love this gnocchi and it’s definitely the best I’ve ever had. We capped off the evening with some truffle Brie, Gorgonzola, crusty bread and chicken and apple pate we had back in the room from lunch and finished the Cab from Greystone. It is affiliated with CIA Greystone and you can even buy it from Markham. Grey stone wine is a delicious inexpensive filler when you are building a case…of wine, not work! Goodnight Napa! See you next time!